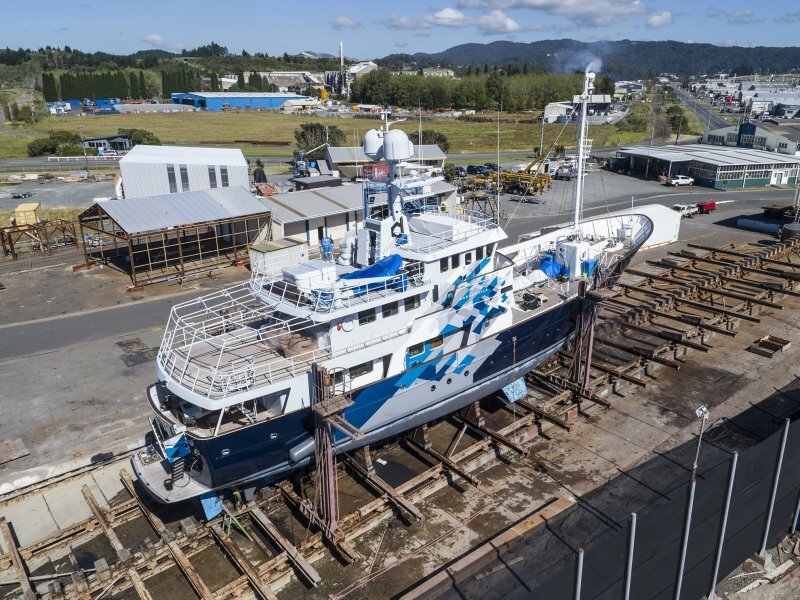 The vessel, Mesenge II, was up on the hard recently for some work-ready modifications. 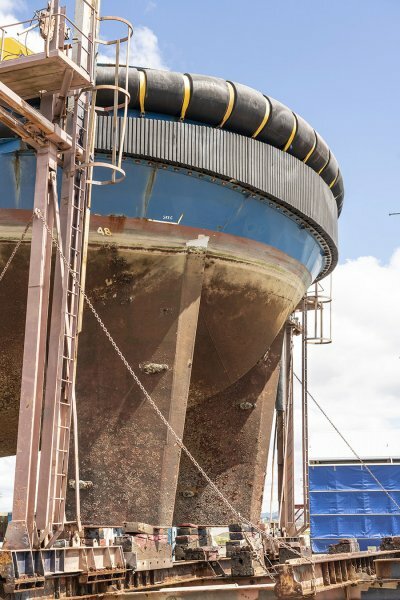 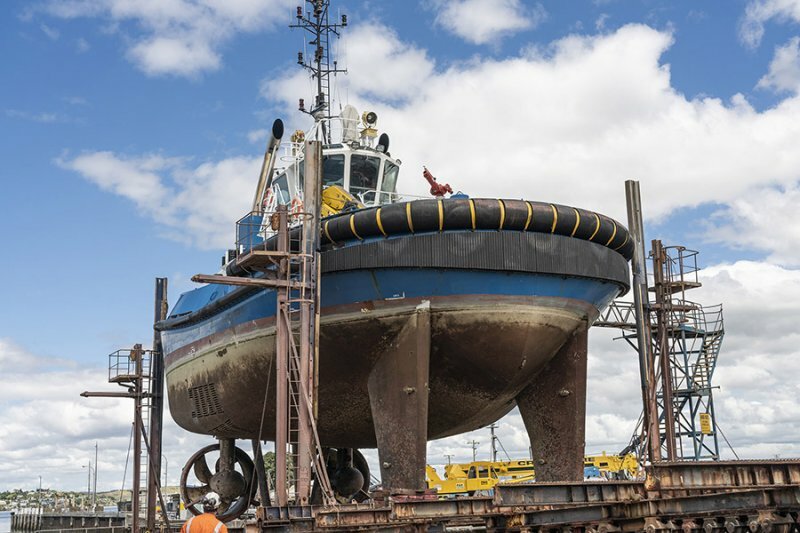 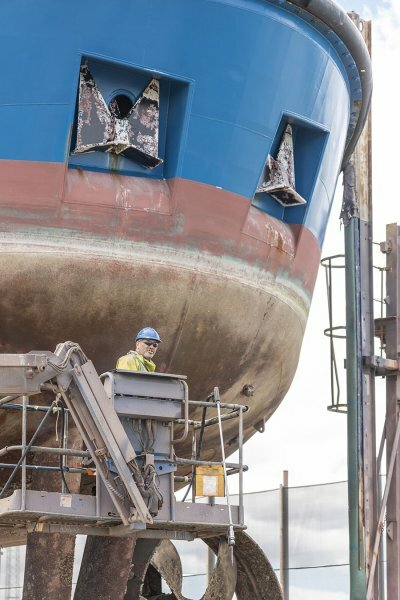 We carried out internal modifications to the bulkhead, deck layout changes, structural modifications, the addition of pile guides, a rock bin, and a full re-paint. 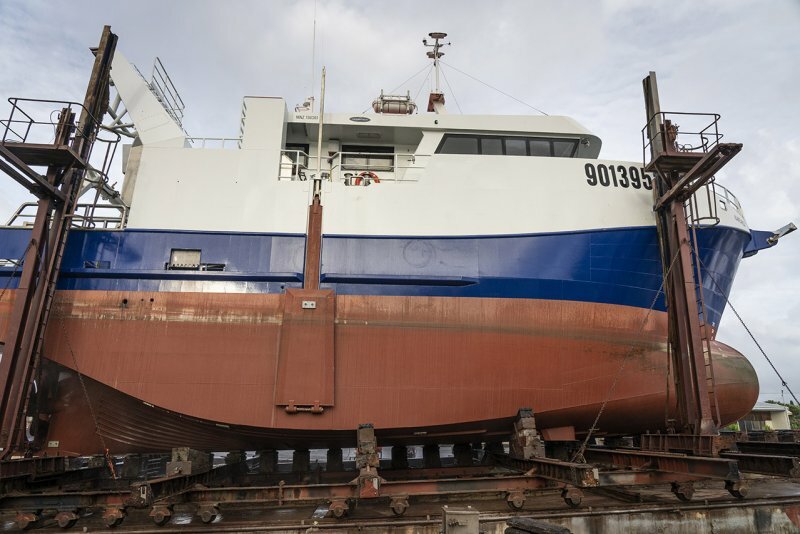 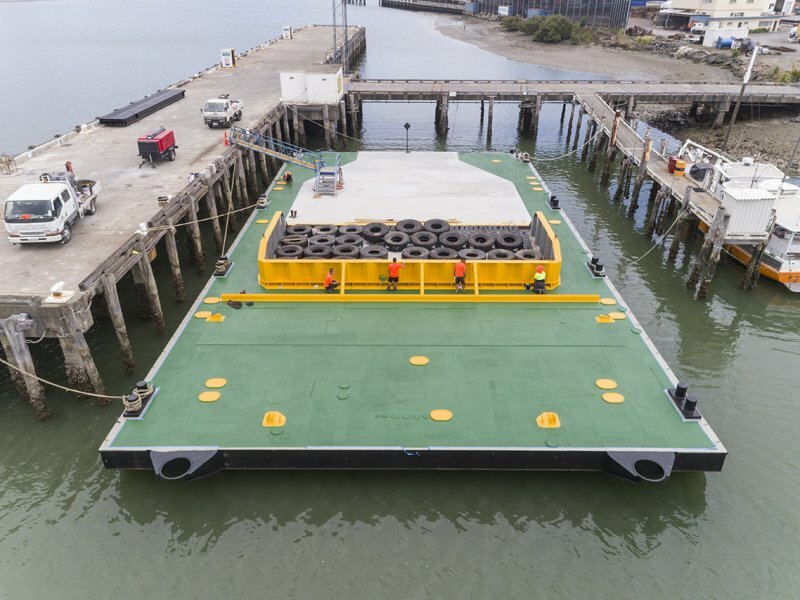 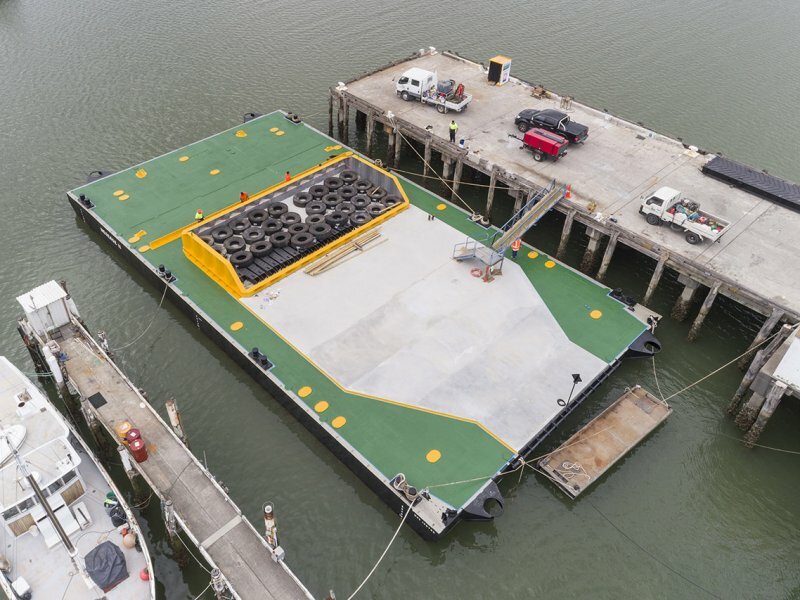 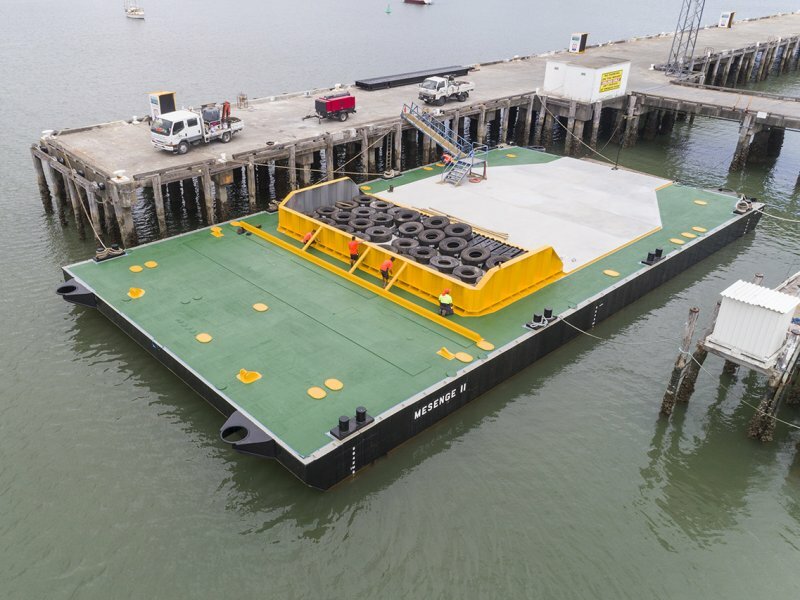 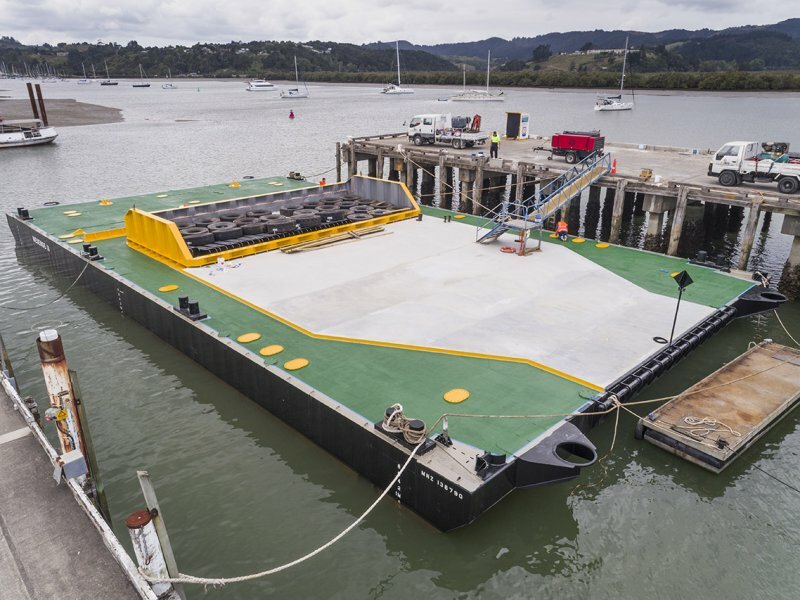 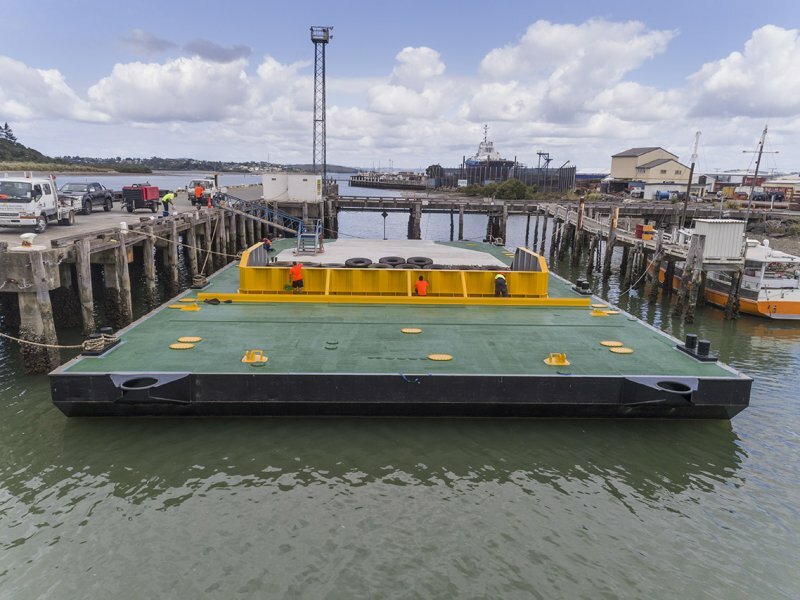 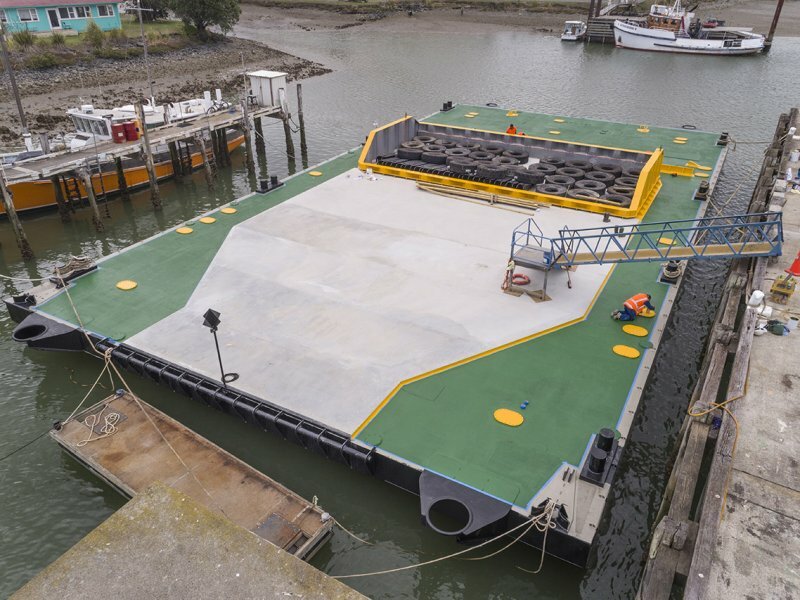 Heron Ship Repair also constructed an access ramp designed by Lighthouse Naval Architects for the vessel. 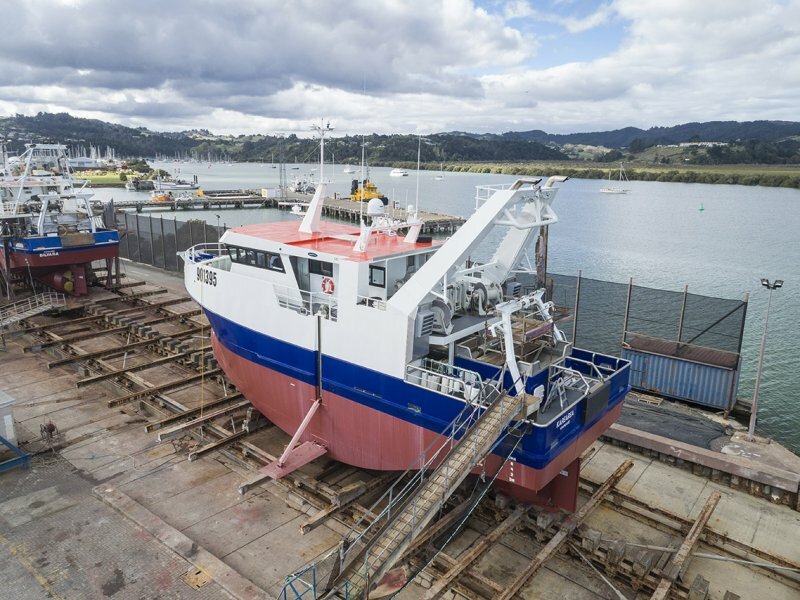 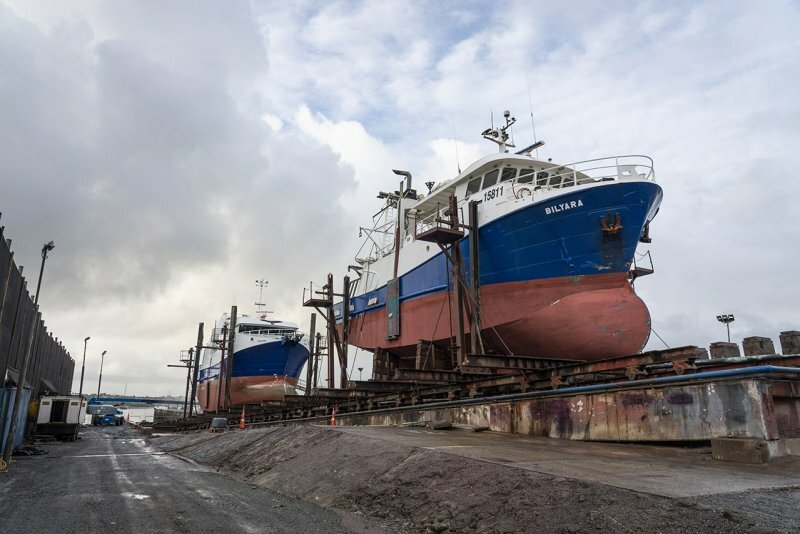 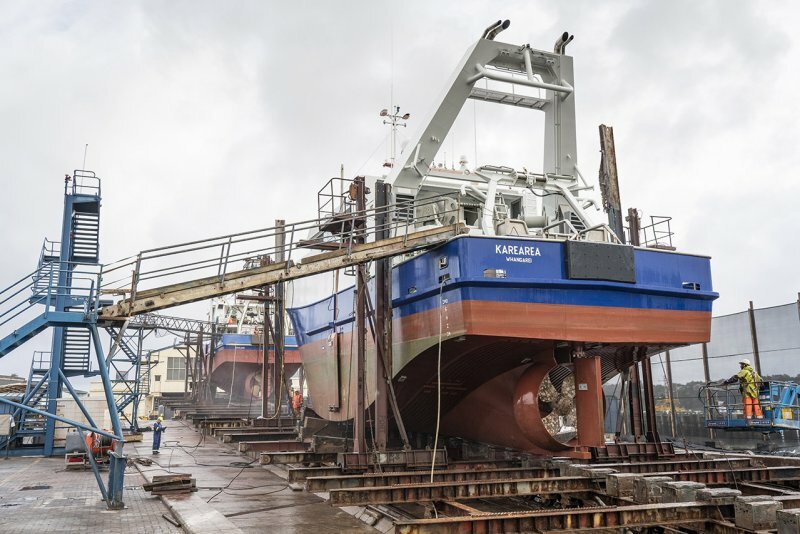 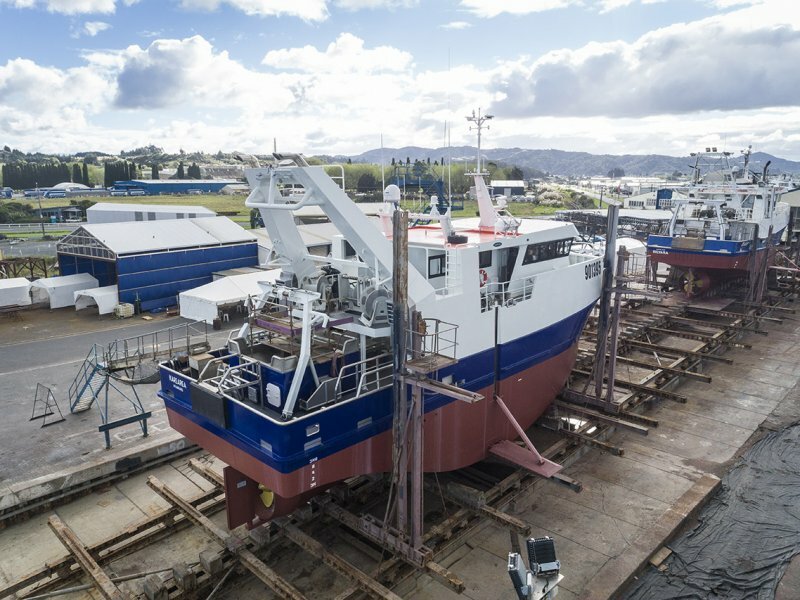 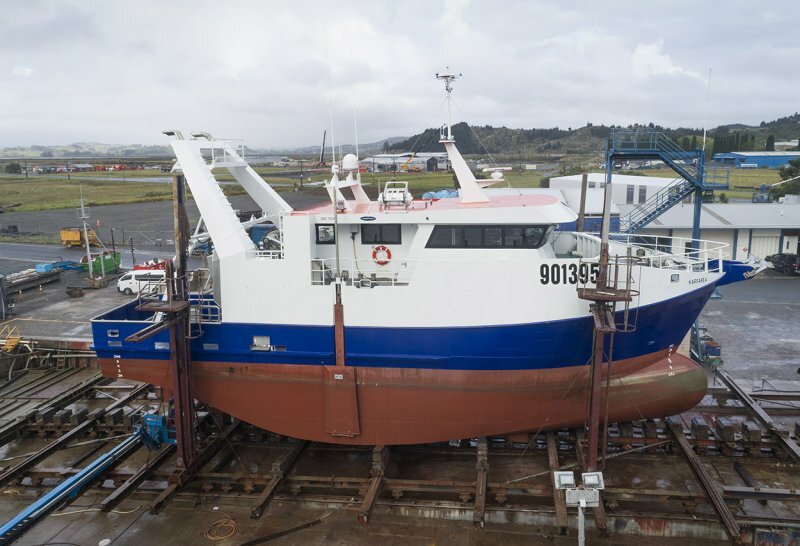 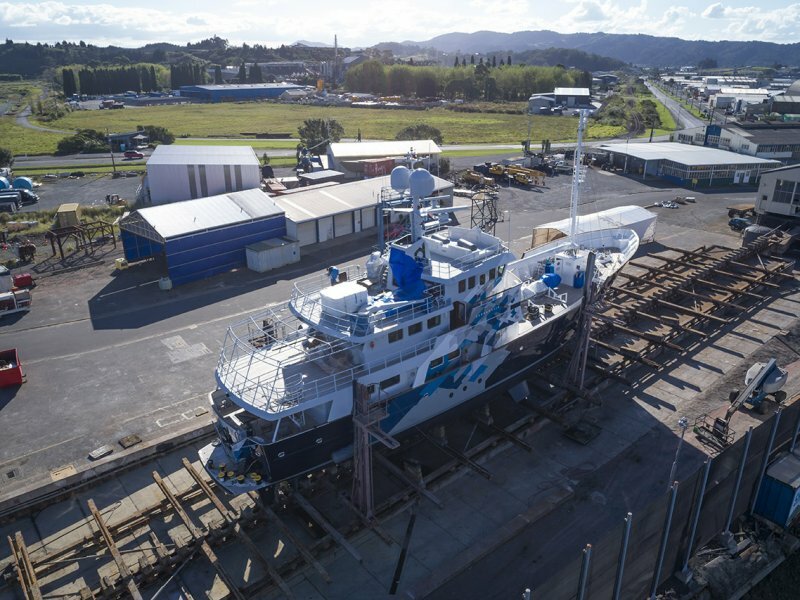 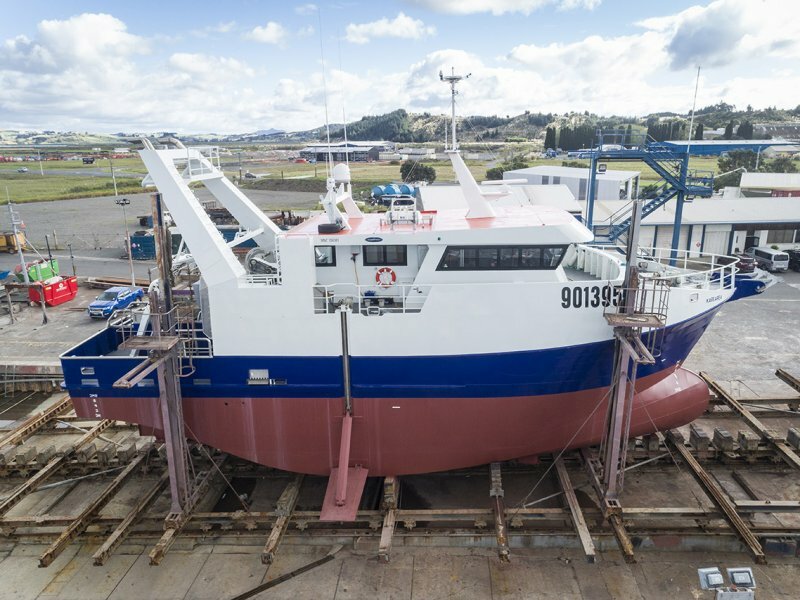 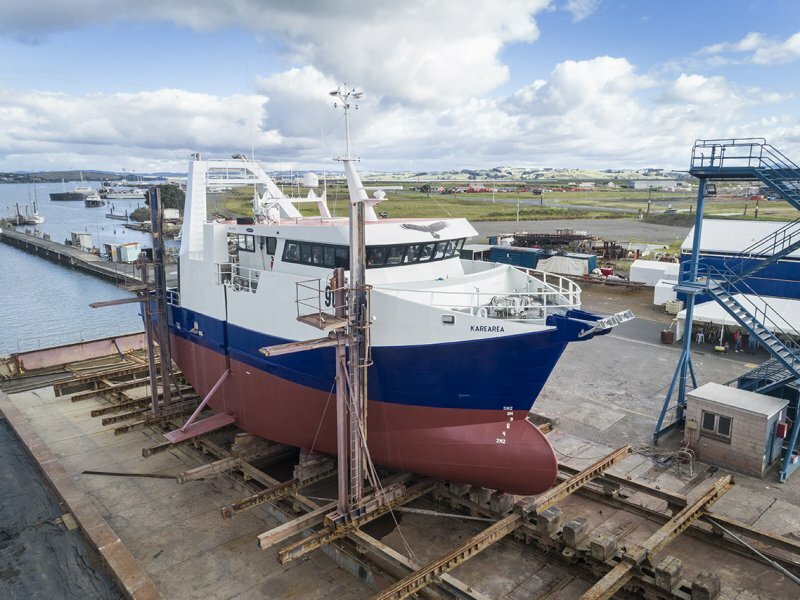 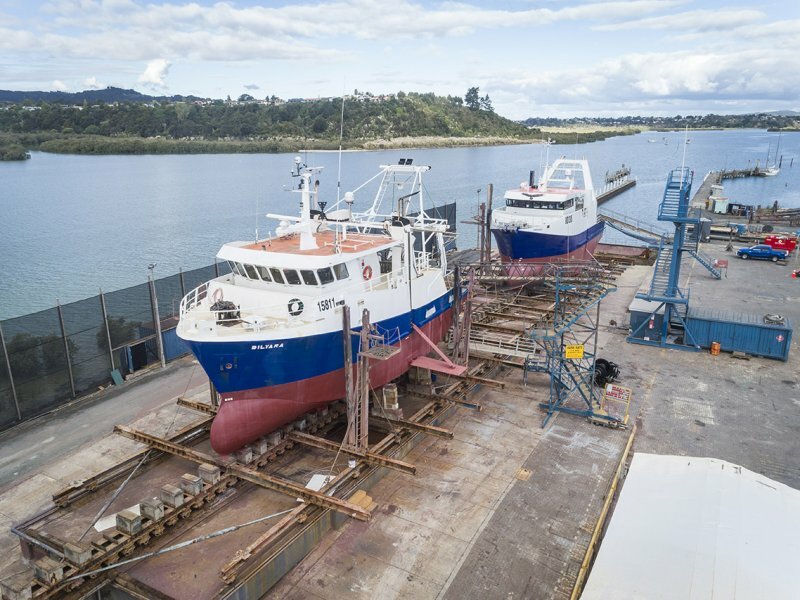 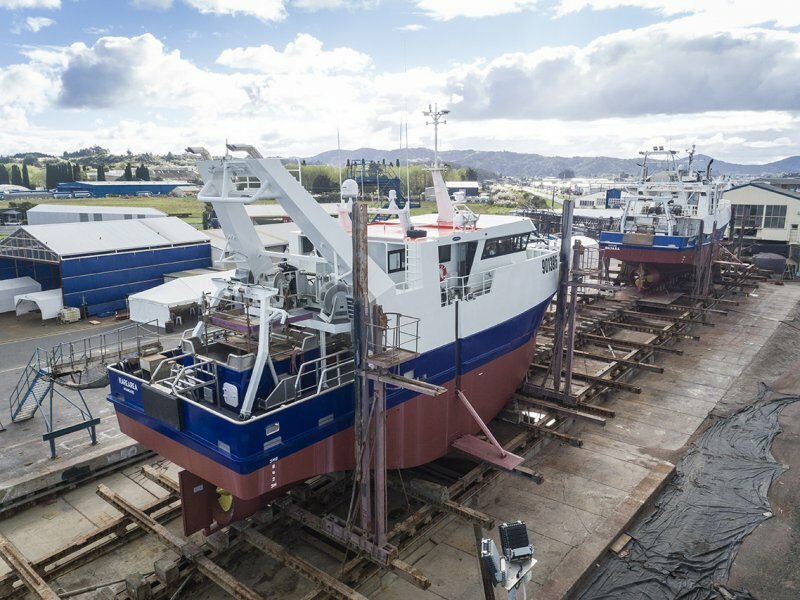 The Mesenge II will head to the South Island where she’ll be engaged in a major port project for the next two years. 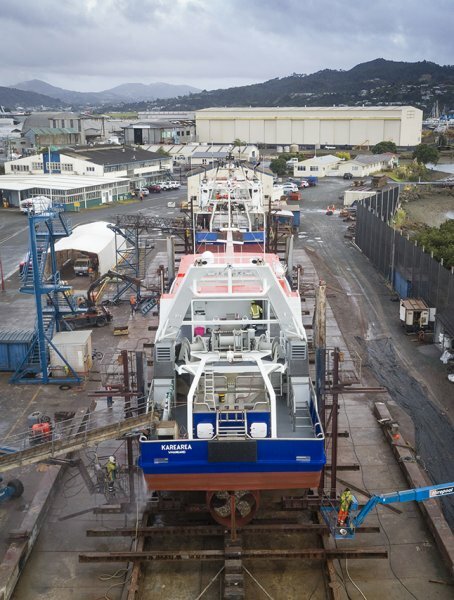 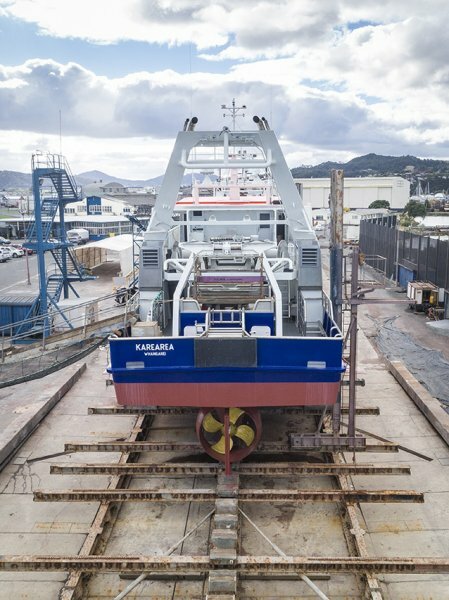 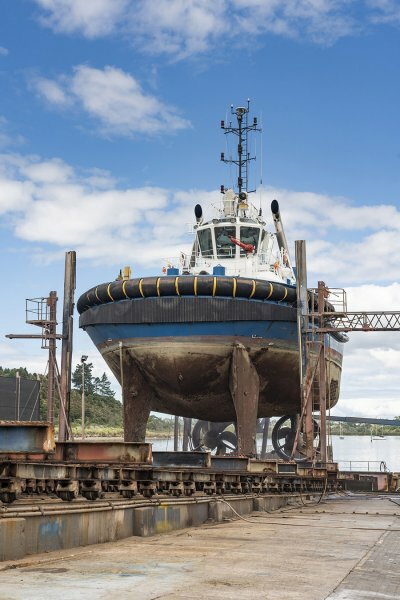 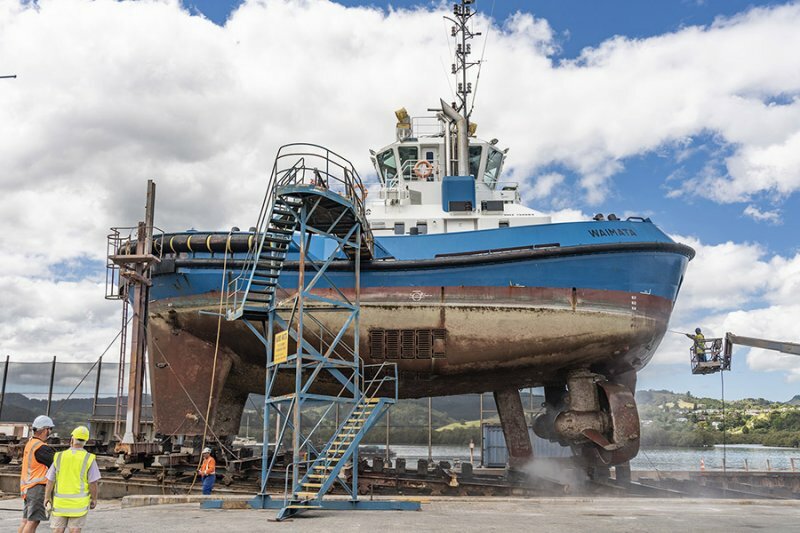 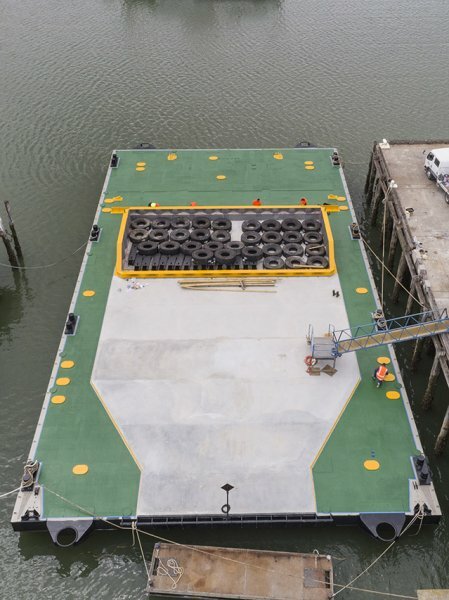 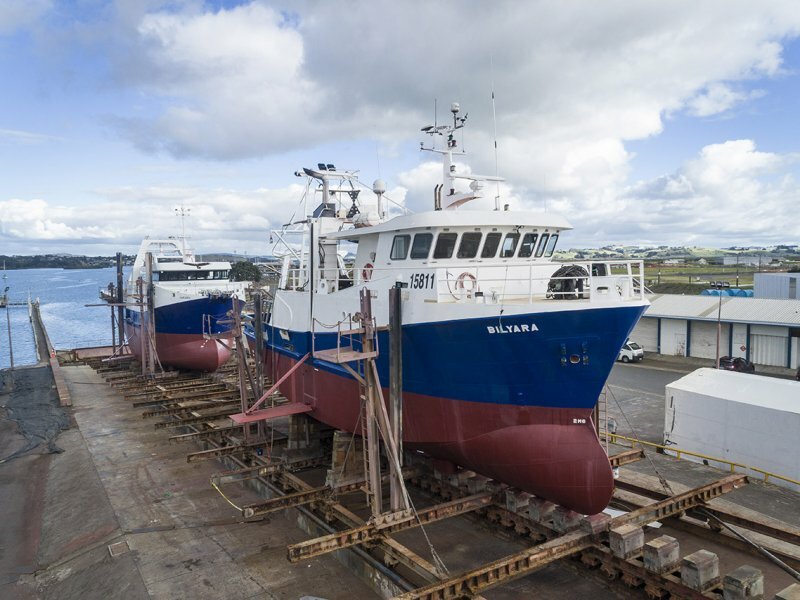 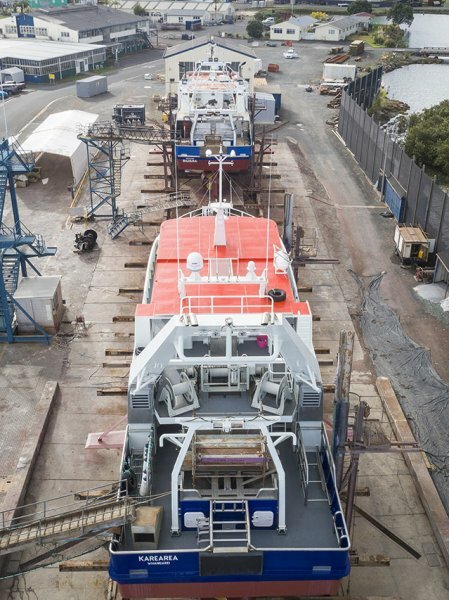 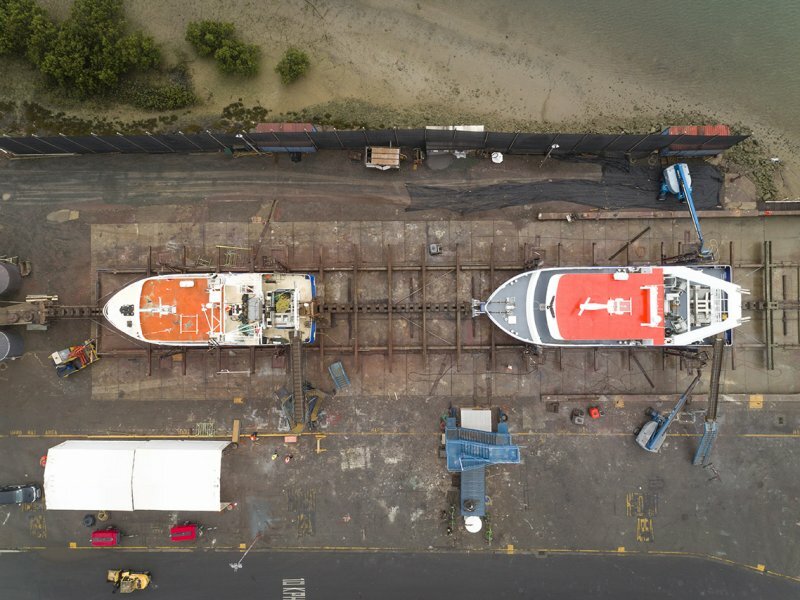 We had the five year old Damen tug, Waimata, up on the hard last week for her first docking in New Zealand. 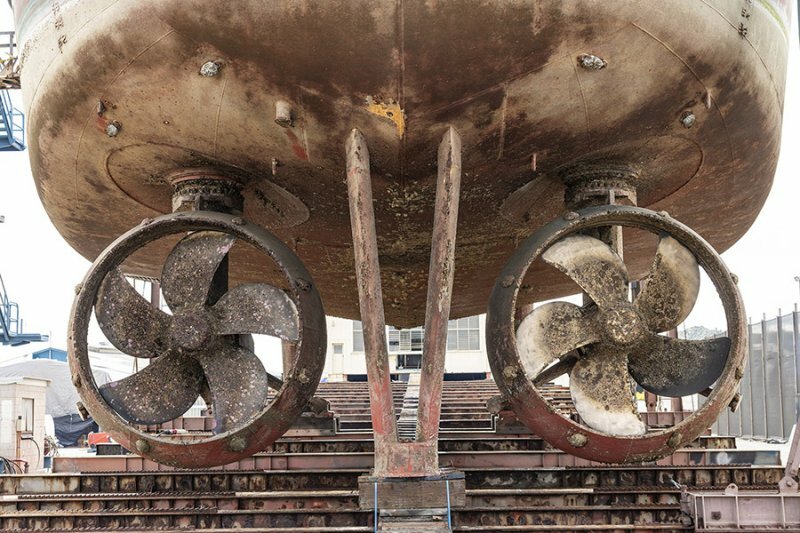 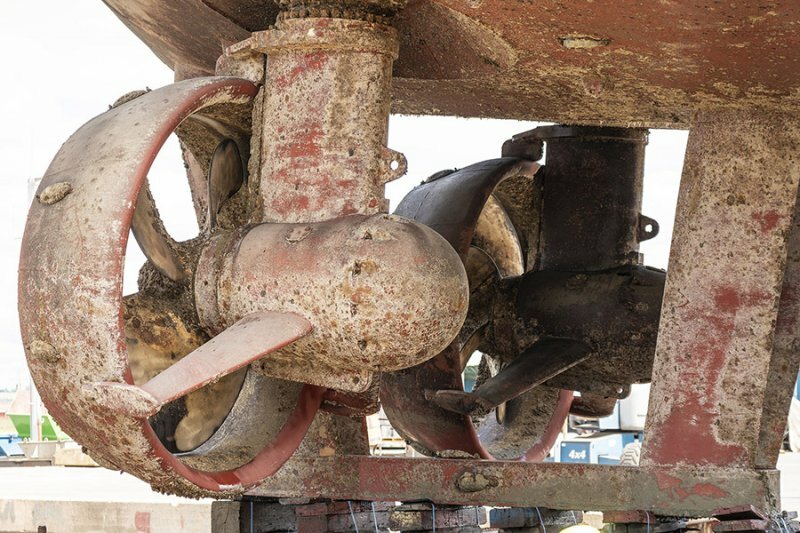 Heron Ship Repairs carried out the five year services on her Rolls Royce drive units and the cathodic system. 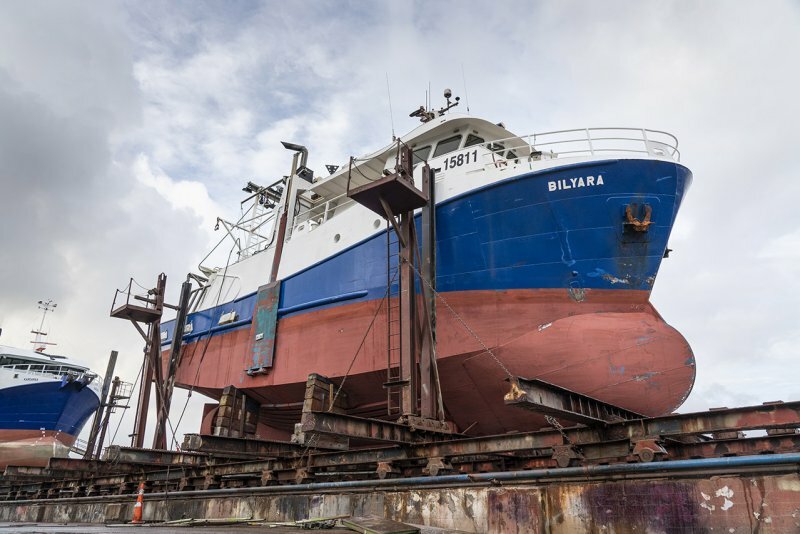 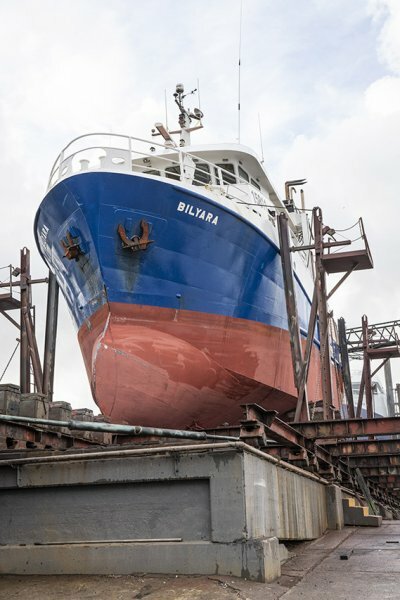 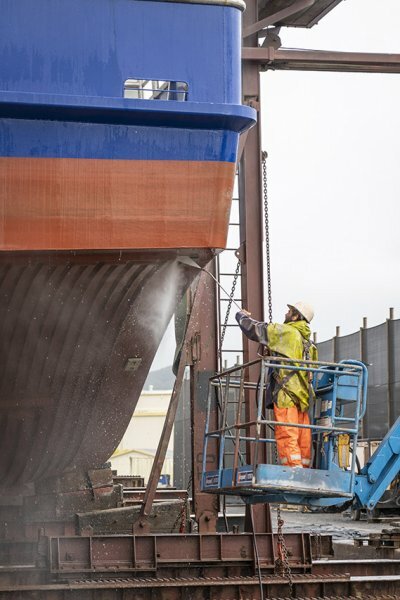 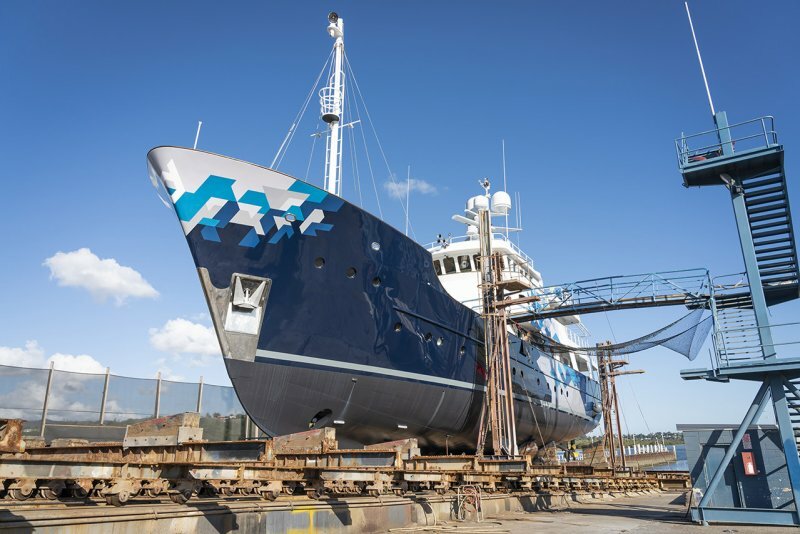 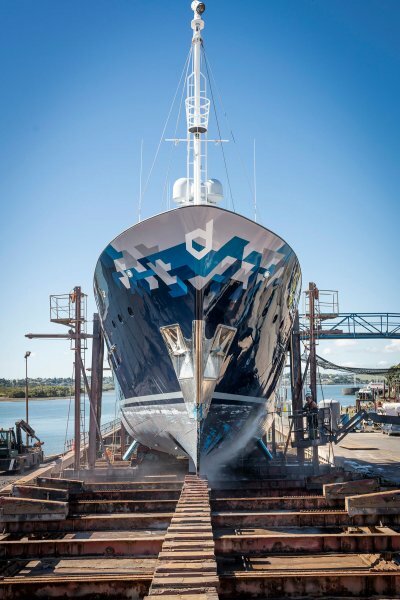 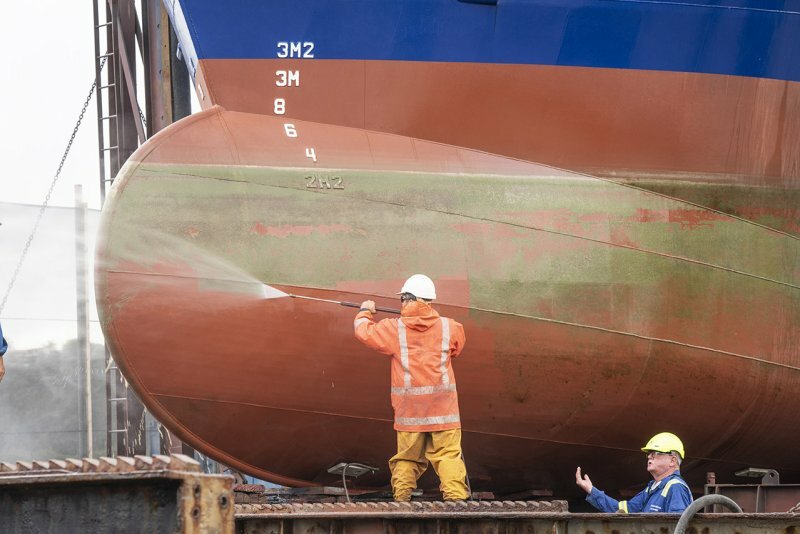 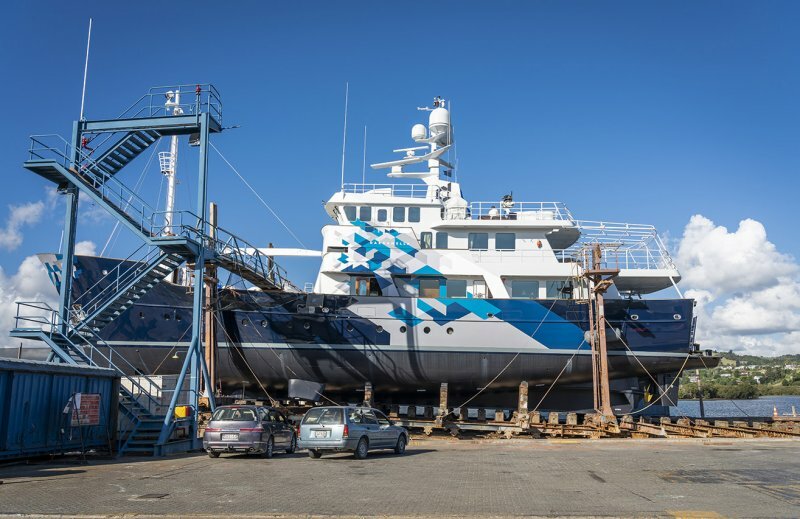 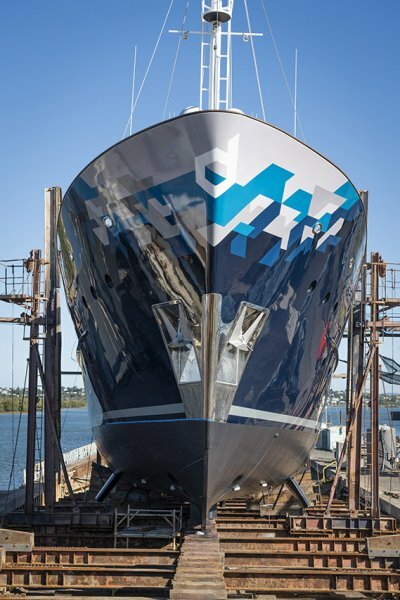 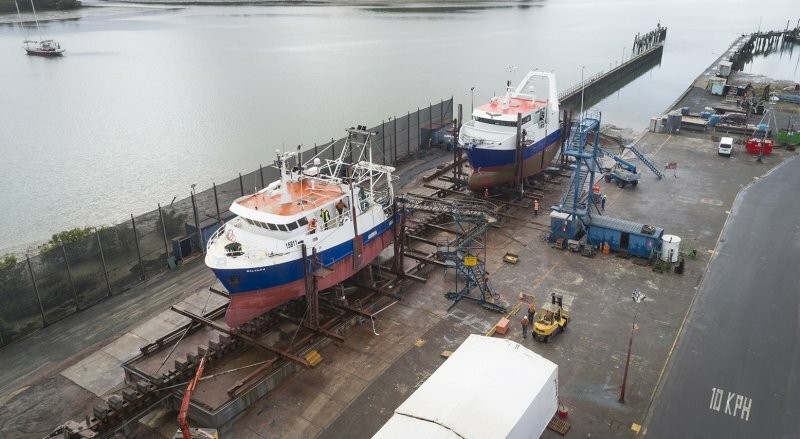 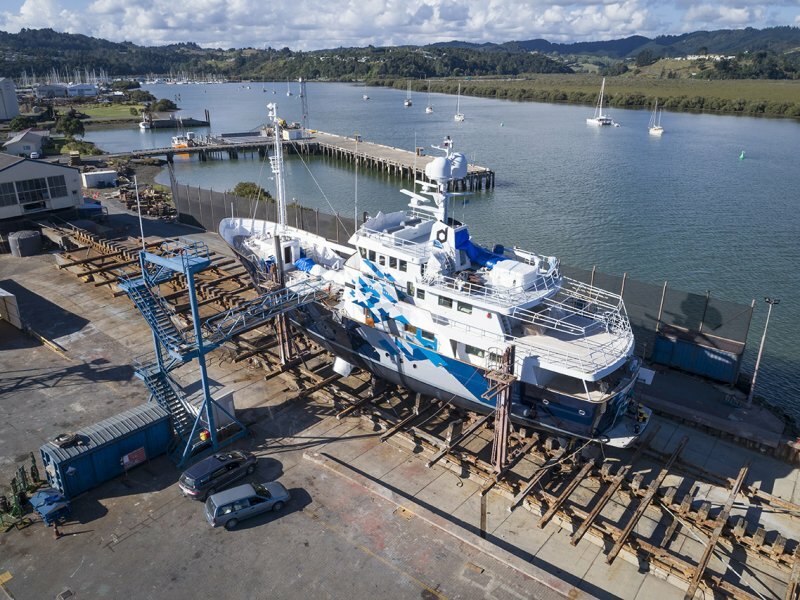 We undertook several small general engineering tasks, and the haul out work was completed with a full topsides coat in blue, and a complete underwater antifoul paint system applied below the waterline. 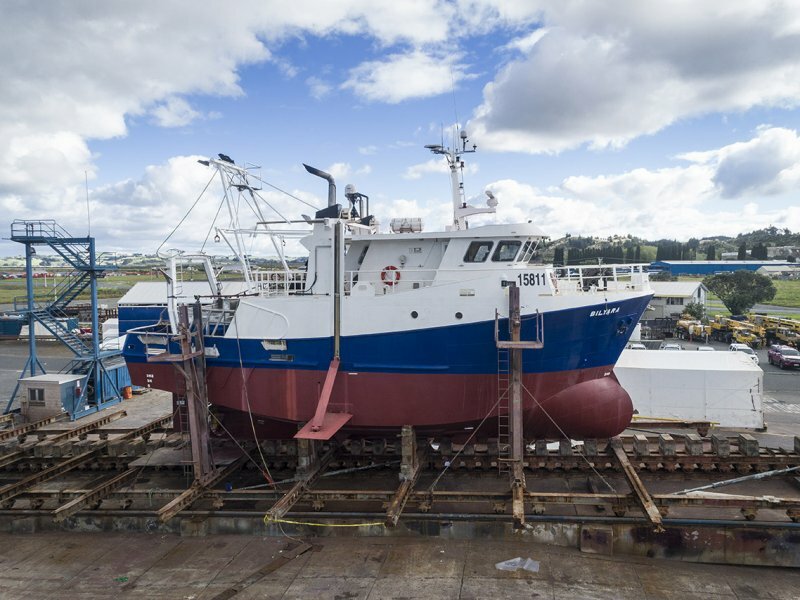 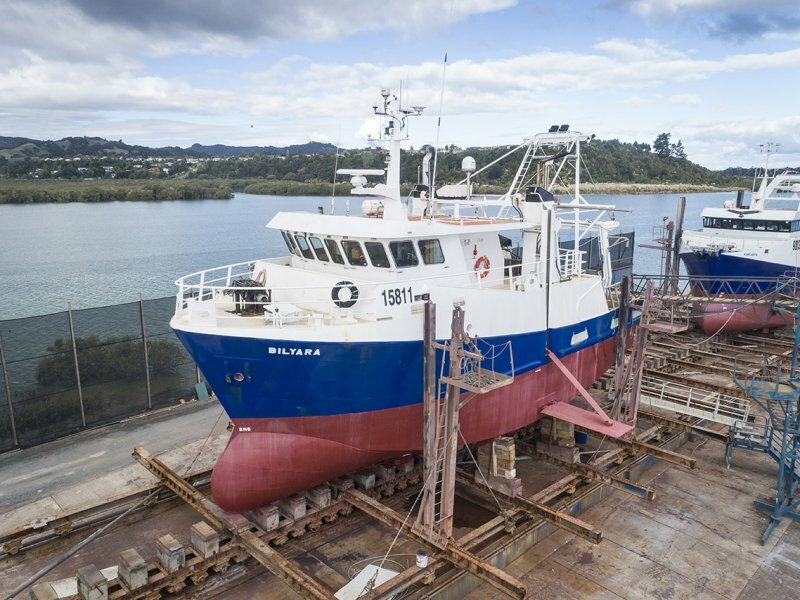 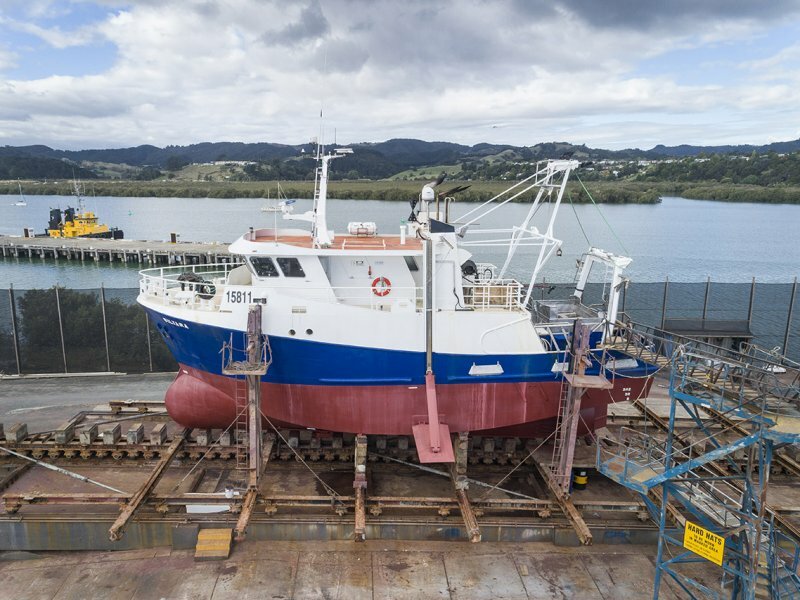 The spruced up Waimata was slipped back into the tide ready to go back to her chores. 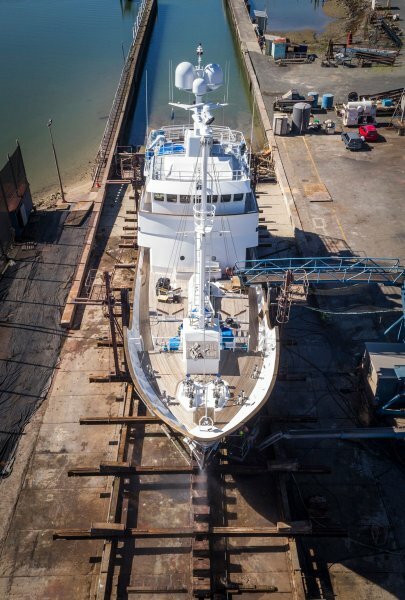 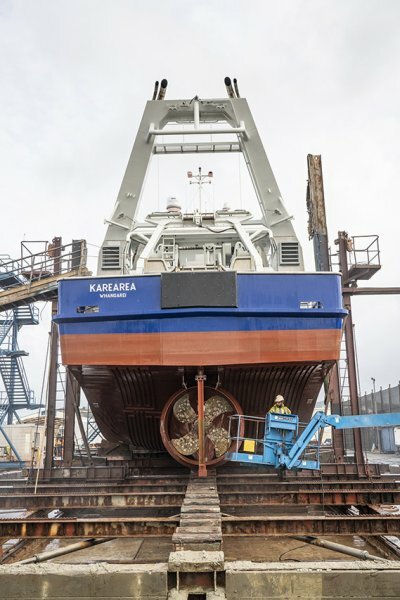 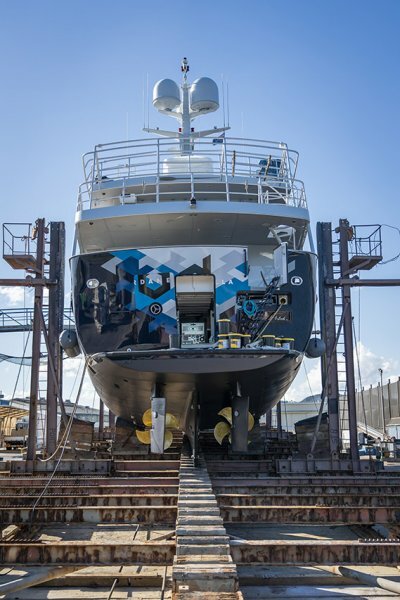 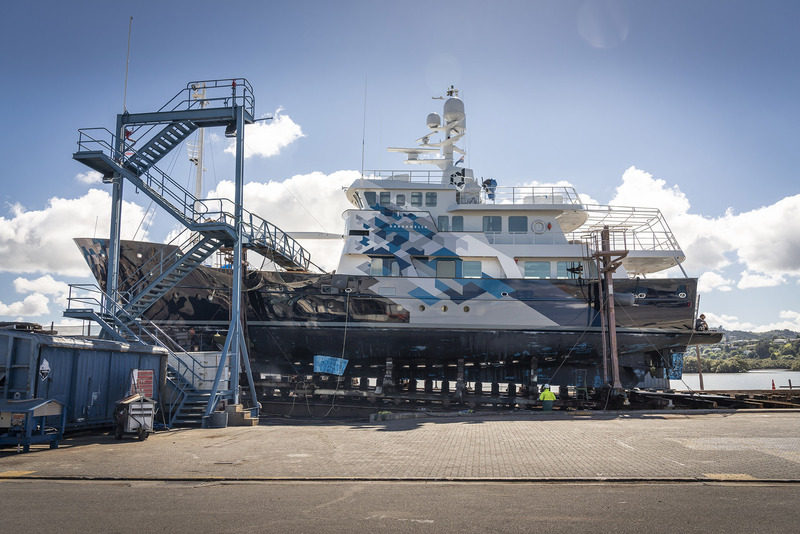 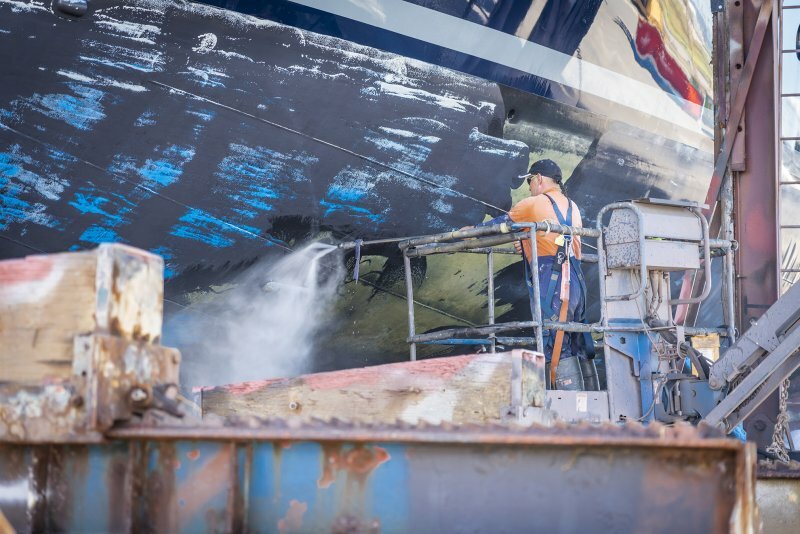 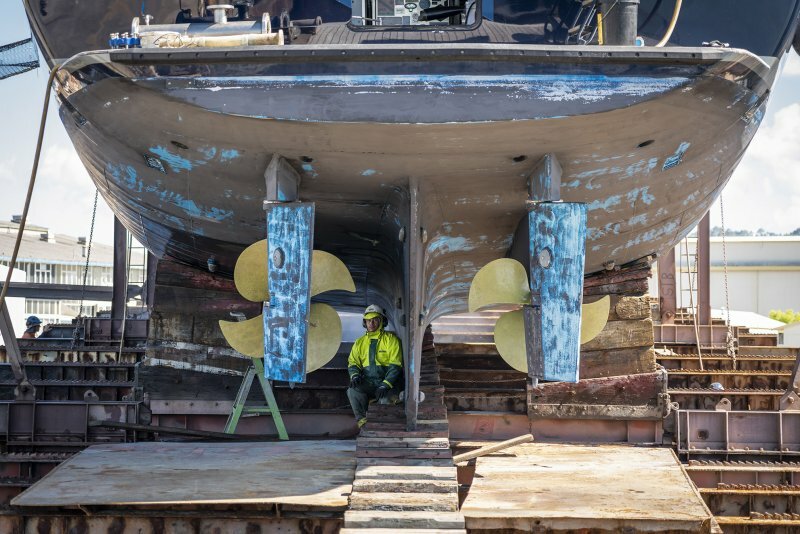 Heron Ship repair recently slipped the 1998 Dutch-built superyacht, Dardanella, dropping her back into the tide after a quick coat of antifoul to her undersides and replacing the shaft seals. 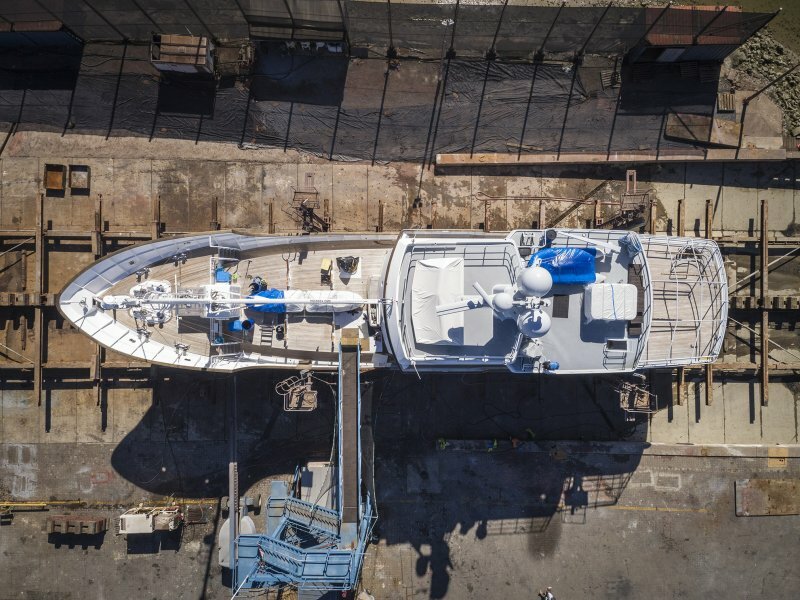 "I just wanted to check in with you to say thank you for all of the assistance in completing the stabilizer installation and dockside commissioning on Advantage. 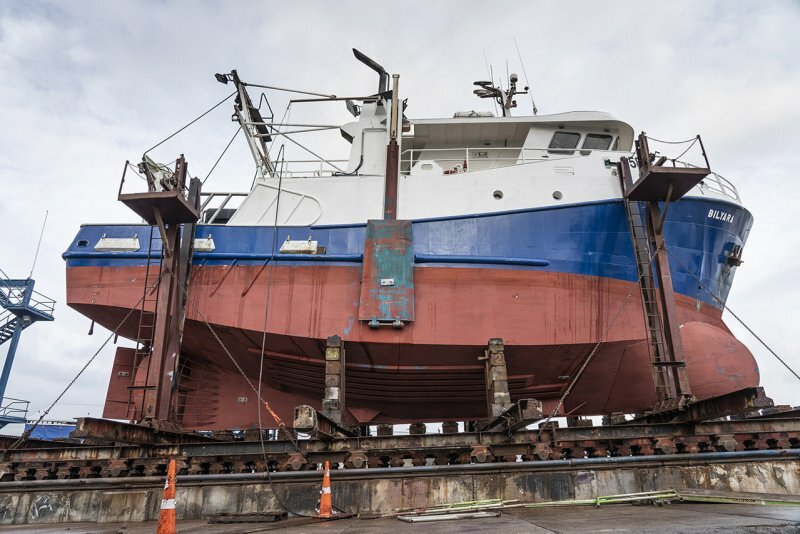 I quite literally couldn't have gotten it done without Nick and Gary and their crew at Ship Repair NZ. 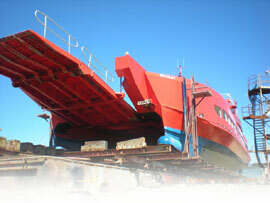 They and their staff were extremely professional and made sure I had everything I needed in an expeditious manner. 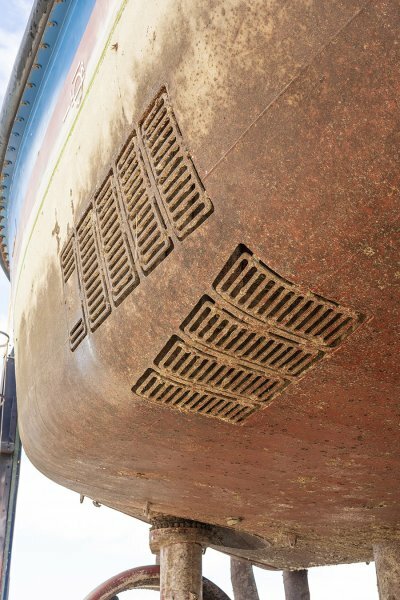 It seemed like no matter what I needed you all were spot on and in a hurry to get it to me. 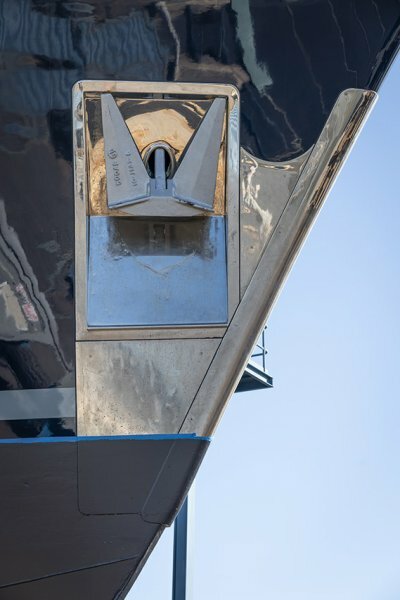 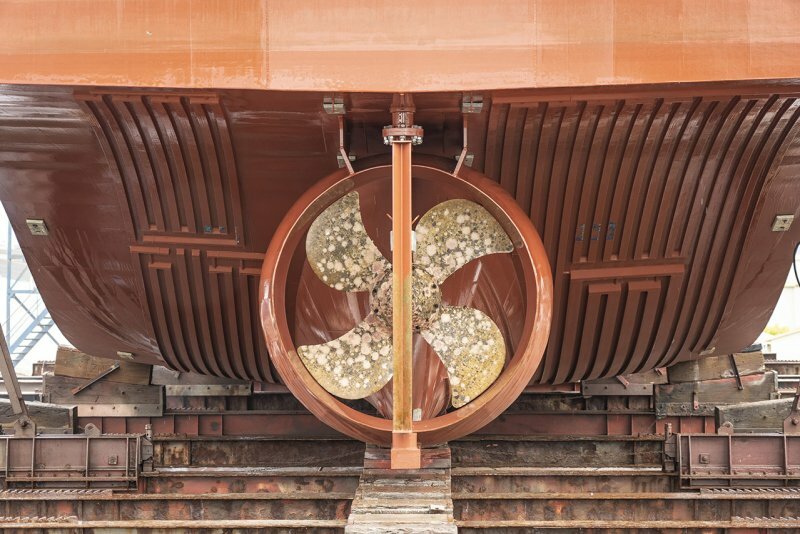 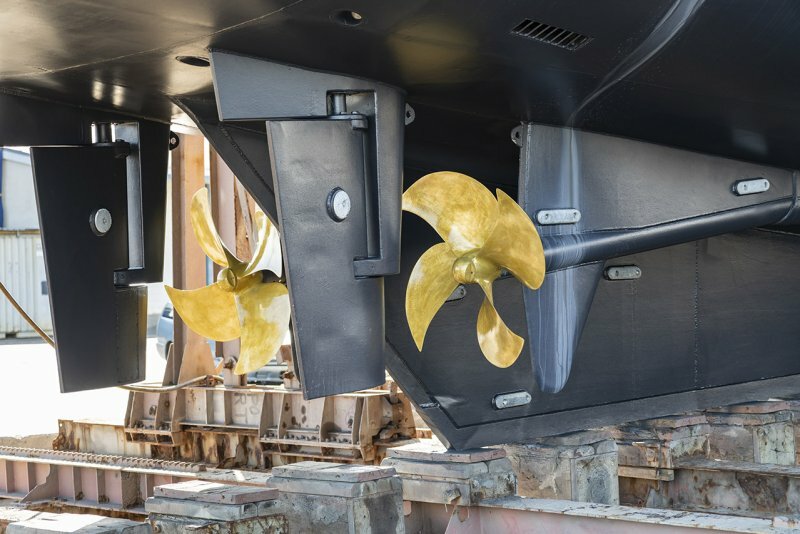 The fact that hanging the fins in such tight quarters went off without a hitch is testament to the Ship Repair crew's knowledge and expertise. "